Your big day will be like nobody else’s, so be sure to choose guest books and albums that do it justice. With Mixbook’s wedding photo books and guest books, you can customize the pages to your heart’s content with stickers, captions, layouts, backgrounds, text and quotes. Make your guest book fun and personal. Meaningful photographs sprinkled throughout the album will inspire guests to write down well wishes and happy memories that you’ll have forever. Every guest, from plus-ones to the wedding party itself will enjoy a glimpse into your lives together – and the opportunity to witness what it’s taken to get you to this profoundly important day. For your guest book, include photographs of your courtship. You can even include captions with dates and details about the occasion. Have your rings photographed on the spine of a book that’s important to you – whether it’s the Bible or a work of great romantic fiction. 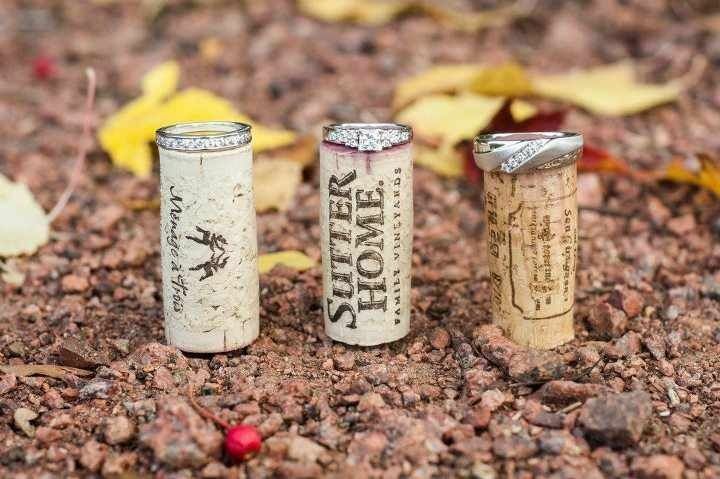 Or if you share a love of great wine, have a photograph taken of your rings propped up on the corks of the special vintages you’ve chosen for the reception. You can also style a photograph of you and your new spouse surrounded by the pages of a favorite book of poetry. 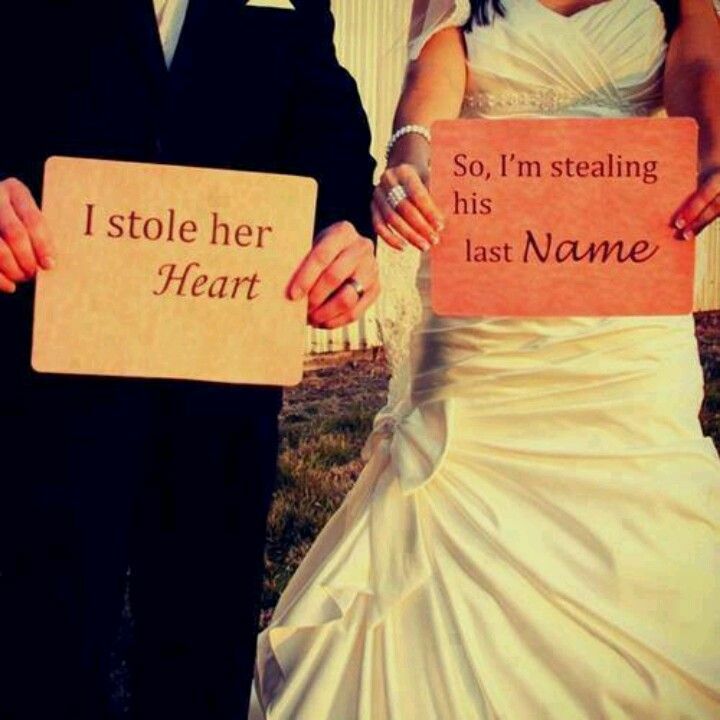 Or stage a shot of the two of you holding signs that say something funny like “I stole her heart,” “…so I’m stealing his last name.” With all you’ll have going on at your wedding and reception, you’ll want to keep these special shots to a minimum, but one or two can really add personality to your completed album down the line. Rustic Wedding If you’re celebrating your wedding in a down-to-earth setting with well-loved appeal, Mixbook’s Rustic Wedding theme is ideal. Backgrounds feature beautifully distressed wood and textured paper, plus calligraphic flourishes and other hand-drawn design elements that are warm and elegant. Earnest quotes are sprinkled throughout for a touch of lighthearted reflection. You can choose to go with the curated quotes Mixbook includes, or switch them out with your favorite sentiments. A coordinating guest book takes many of the same features and rolls them out to a personalized format for collecting well wishes and memories from wedding guests. Create your custom guestbook in advance of your big day, including photographs of your time spent together as a couple to date. Add a few pics of each of you as babies and kids, too. Guests love to catch a glimpse of who you were before you met – and what your children might look like should you choose to become parents. Classic Simplicity Wedding If your wedding aesthetic is classic and elegant, Mixbook’s Classic Simplicity theme is perfect. Tuxedo-black backgrounds create a striking frame for dramatic portraits of all kinds. Clean white bands with a mix of bold and calligraphic type are classic and polished in their simplicity. A wide variety of layouts featuring dotted frames, scrolling flourishes, monogram details and inset photos give you tons of versatility when you’re creating your final album. Modern Grey Wedding If you’re going for light and airy, elegant and modern, Mixbook’s Modern Grey Wedding photo book is beautiful option. Translucent silver bands and stylized white design elements have a lovely lightness that lets your images really shine. Details like subtle silver chevrons, white placards, floating circles and calligraphic captions create a quiet composition that’s timeless and classic. Classic Beach Wedding For a beachfront wedding, Mixbook’s Classic Beach Wedding template is perfect. It deftly pairs the laid-back feel of the shore with the formality of a wedding using design elements like weathered-gray driftwood, beach glass–colored frames, seashore inspired design icons and sand-hued lace patterns. The finished album comes across as both polished in elegance and relaxed in spirit. Chalked Guest Book Whether your wedding is ultra-casual or uber-formal, Mixbook’s Chalked Guestbook is perfect. Because of the nature of a guest book, a relaxed format is ideal. Your book can act as a retrospective – giving guests a glimpse of your history together as a couple. Friends and family will be inspired to write their warm wishes and congratulations in a book that exudes warmth and love. And the informal format will put them at ease since they’ll have to scrawl their notes with a glass of Champagne in one hand and other guests looking over their shoulders. Happy Mixbooking! Here’s to love!